DovBear has posted over 5000 times since October 1994. To date, his blog has received over 100,000 comments and close to 2 million page views. More about DovBear here and here. His first book, a collection of posts about the weekly reading, can be purchased here. With the exception of infrequent breaks, covered by guest bloggers, DovBear posted alone until early 2008. As a hedge against burnout, and sop to those who said the blog had become one dimensional and predictable, DovBear invited several distinct and diverse voices to join the blog on a semi-permanent basis. By design, they respresent many different ideologies, attitudes and politics, and serve as living confirmation of DovBear's belief that truth is best apprehended via vigorous conversation. Tikun Olam has a giant chip on her shoulder which is pointed out by DB's loyal followers every time she posts or comments. She is also smug and self-congratulatory every chance she gets. She recently broke her arm trying to pat her own back. Man of mystery SM is an English lawyer and Judge. He vies for title of Liberal in Chief and regards Rabbis as a (sadly) necessary evil. RafiG, an ordained, but not practicing, Rabbi and shochet who recently ran a marathon, lives in RBS, Israel with his wife and 7 rambunctious kids, making it all that more challenging to find time to blog. Yet the time he finds, and the blog he writes. Three of them in fact: 1, 2, 3 Enjoy. Chaim Grossferstant or Bray of Fundie, et al: "No bio.. but here's my creed: The old apikorsim used to say: "There is no judgment and there is no Judge". Todays Apikorsim say "There are no differences and there is no Difference-maker". I blog to dispute this." JS emerged from relative obscurity in early 2008 when he was discovered by TikunOlam. After negotiating a lucrative exclusivity deal and a signing bonus, JS began blogging on DovBear. He has enjoyed unparalleled critical acclaim ever since, including Rookie of the Year in 2008. A Mother In Israel: A mother of six, I blog about parenting issues and life in Israel at A Mother in Israel. Some of my popular posts include Burka Wedding Pictures, A Parenting Dilemma, Where Are the Parents, Screaming Babies Ignored in Israel's Maternity Wards, and Street Goats in Bnei Brak. Holy Hyrax adores DovBear and sacrifices chickens to his glory at least three times daily. He has been commenting here for the past 4 years and has his own blog where he talks about Judaism and Israel. He is of the repeated opinion that Eskimos are a myth like leprechauns and fairies. NoyamG covered for DovBear in the Summer of 2006, while DB was on vacation. He still thinks Presumed Consent is a good idea. More of his writing can be found at The Noy G Show . At The Back of the Hill: Gout and indigestion in lieu of intellect and scepticism, plus curried goat. There's more at: http://atthebackofthehill.blogspot.com/ , where Talmud, Torah, Treif, and pipe-tobacco intersect. Shanna's presence in the blogosphere dates back about as far as The Bear's, but she can't hold a candle (havdala or otherwise) to his steady stream of scintillating discourse. She still blogs (occasionally) at Devarim. Shanna is the brain behind Mayim Rabim (now in the capable hands of several moderators). She is also particularly fond of parentheticals (as you may have noticed). Jameel blogs at the Muqata, and is justifiably famous for his Purim Shpiels and war-blogging. Akiva blogs at Mystical Paths - http://mpaths.com/ - on topics of kabbalah, chassidus, emunah, Jewish life, world politics with a focus of the words of the navi'im, and Moshiach and the geulah. Depending on the year, he may be blogging with Jerusalem in the distance, Tel Aviv in the distance, or New York in the distance. In any case, he often balances visions of a perfect world with a job and a home full of active children. 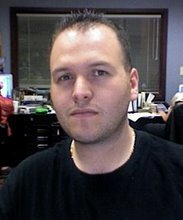 MoChassid is one of the oldest bloggers in the J-blogosphere. You can find him here. Amshinover was the blog's first mega-commenter and a controversial guest poster in Summer 2005. The humor, irreverance and insights in his comments enriched the blog and were likely responsible for much of DovBear's earliest success. He went on to publish the brilliant "no quarter asked, no quarter given" and continues to think of himself as perpetual Shil'shel Peh. Kylopod: I am a lot of things: An Orthodox Jew, a former homeschooler, a Democrat, a movie buff, a bookworm, an English major, a juggler, a checkers fan, a Toastmasters member, and several other things besides. I love feedback! I encourage anyone who comes to my blog to respond, even if it's to a post I wrote months earlier. I'll make sure to read it. Juggling Frogs: My name is Carolyn. I'm a mother of five children. We are a Jewish family living in Boston, Massachusetts.I strive to save and collect as much time, energy, money, and wisdom as possible, in order to spend these lavishly on my family, friends, and community. Read about it here.